The right chassis for smaller video walls with up to 16 HD displays and 16 HD/32 SD inputs. Please call 1-877-877-2269 for a replacement product or part. Create video walls to improve situational awareness and operator response time. Designed for smaller command centers, control rooms, and other mission-critical operations centers. Easy to use – drag, drop, resize, and scale. Freely position any source anywhere on the video wall. The heart of the system is the four-slot controller chassis. It incorporates an ASUS motherboard with four high-performance PCIe slots. 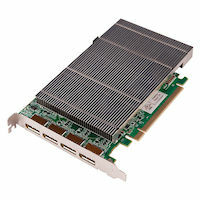 Each x16 mechanical slot has been configured for x8 electrical performance giving up to 8GB/s bi-directional bandwidth. The chassis also includes an Intel® Core i5 (4570s) processor offering 6 MB of cache. 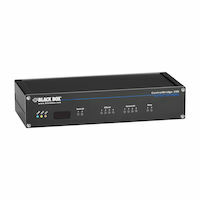 It can provide up to 16 HD outputs or 16 HD/32 SD inputs or a combination of the two. 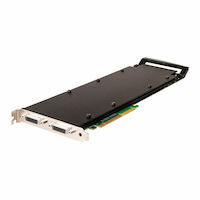 Combine two Graphics cards and two Video Capture cards to provide eight HD outputs and eight HD inputs. Freely position content from any source, anywhere on the video wall. Then you can easily drag, drop, resize, and scale in real time. 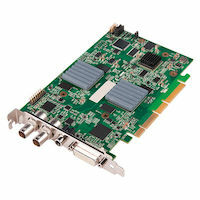 Radian supports a wide range of video input cards: composite, component, SDI, HDMI, VGA, DP, DVI, and IP. It decodes and displays standard-based IP video streams (H.264) and supports 4K at 60 Hz transmission via DisplayPort. It’s also designed to display uncompressed video with no latency for faster operator response times. 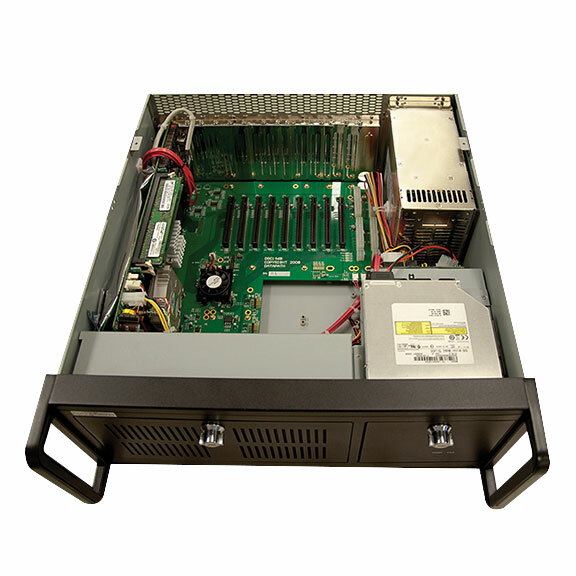 The Chassis includes two hot-swappable 600 Watt redundant power supplies for seamless failovers. Web-based management is done from the included software from any PC over the network. The optional Video Wall Control Software enables remote control of the video wall layout, inputs, and positioning of elements. Radian is a hybrid hardware and software solution. It’s part of a complete solution that includes the chassis, graphics cards, video capture cards, expansion cards, and software. To help you get the right combination of chassis and cards for your specific application, Black Box offers free application engineering and 24/7 free tech support. Talk to one of our technical experts and we’ll design a solution for you. And, we’ll ship the chassis fully loaded with cards and software. * Technical specification weight is the unit weight. It is not the packaged shipping weight. 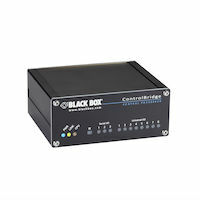 For shipping weight, please contact Black Box customer service at 1-877-877-2269. The Double Diamond Warranty is our no-questions-asked warranty that protects your Black Box® brand products* from accidental damage, including drops, water, and power surges. Ordering an extended warranty is easy: When viewing a product in your shopping cart, just select the one or three years of additional coverage in the dropdown menu under “Warranty Options.” For details, contact Customer Service at 787-767-3500. What’s more, we also have a 45-day, no-questions-asked return policy. Simply call Customer Service for a Return Authorization (RA) number, return your product in new condition and in the original package, and receive a full refund.